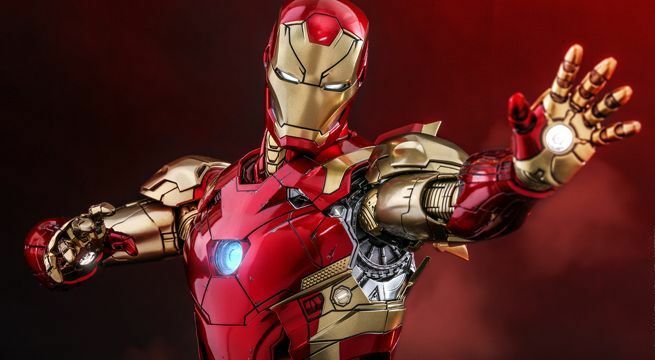 Following the outstanding concept art Captain America figure unveiled in July, Hot Toys is continuing to celebrate the 10th anniversary of the Marvel Cinematic Universe with a sixth scale concept art Iron Man Mark XLVI. Iron Man is Hot Toys' bread and butter, so it's no surprise that this figure is amazing. 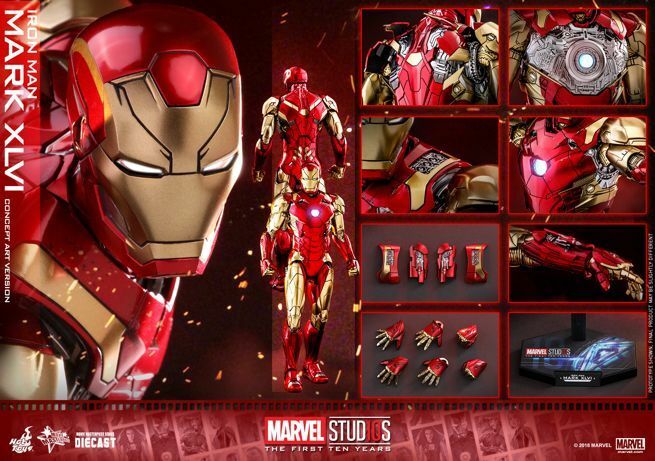 The Hot Toys MMS489D25 1/6th scale Iron Man Mark XLVI figure is based on Iron Man concept art created by Ryan Meinerding, Marvel Studios’ Head of Visual Development. It features an LED light-up helmet, detailed armor design with "fully enhanced" articulations, interchangeable shoulder and forearm weapon-firing armor parts, an LED light-up Arc Reactor, and a Marvel Studios: The First Ten Years-themed figure stand. It will be available to pre-order right here at Sideshow Collectibles at some point today, October 18th. The official list of features for the Iron Man figure can be found below.